I had high hopes for post-Christmas trash. I fantasized about people with more money than brains throwing out their PS3 because they got a PS4, or maybe their iPhone 5 because they got an iPhone 6. However, I didn’t find much of that or anything else in the week after Christmas. A big snowstorm, one of Montreal’s largest in quite some time might have impacted things a bit but I still never felt as if a big find was at all imminent. My working theory now is that most of the “old” stuff ends up not trashed but stored in basements, closets and garages where it sits until the people eventually move, at which point the item is donated or tossed. The first week of 2016 was much of the same. It was looking like a lost cause before I came across this spot. I remember there being a “sold” sign out front of this house not long ago, and I guess the people living there are getting ready to move. I pulled this intriguing etched bird tray out of one of the bags. 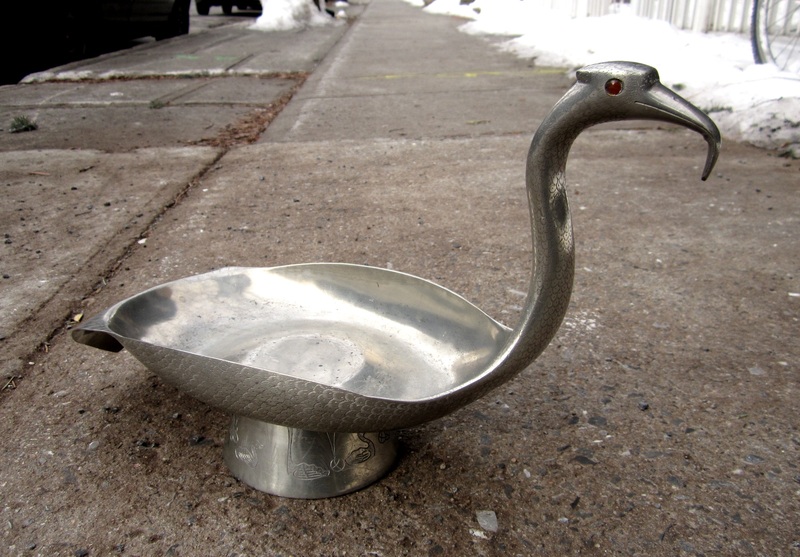 It definitely vintage and looks to be made of aluminum or pewter. 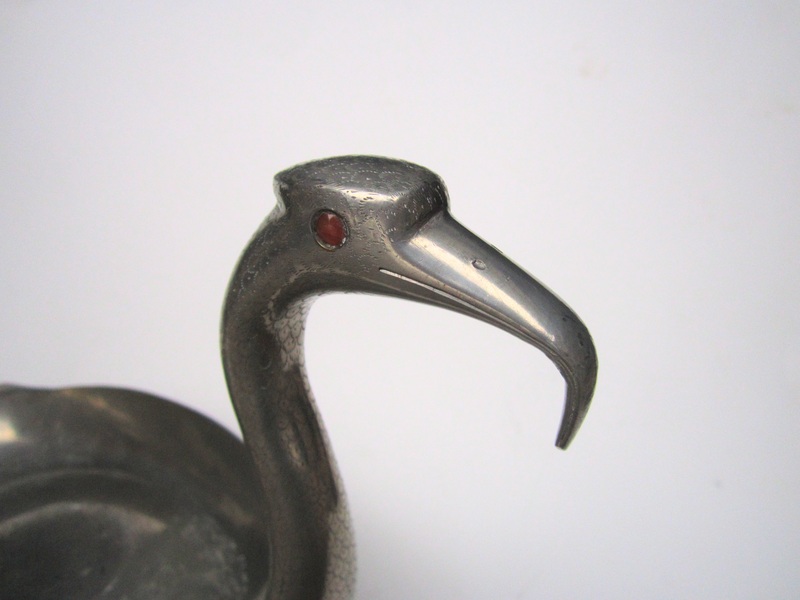 Does anyone have any ideas as to what kind of bird this is supposed to be? 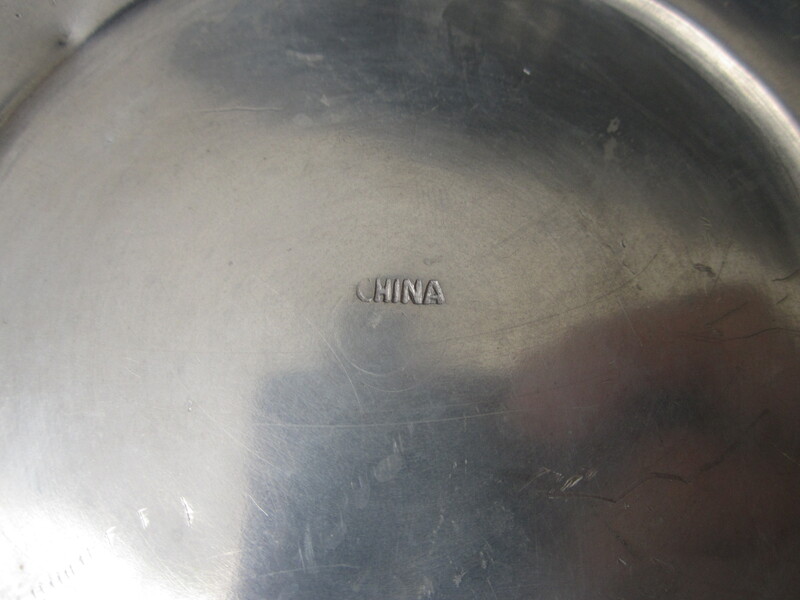 It’s marked as being made in China, but not with a sticker as is now so ubiquitous today. I can’t find anything quite like it online, so it’s impossible to say if it’s junk, treasure, or something in between. If you know anything about it let me know in the comments! My best finds though were quite small. 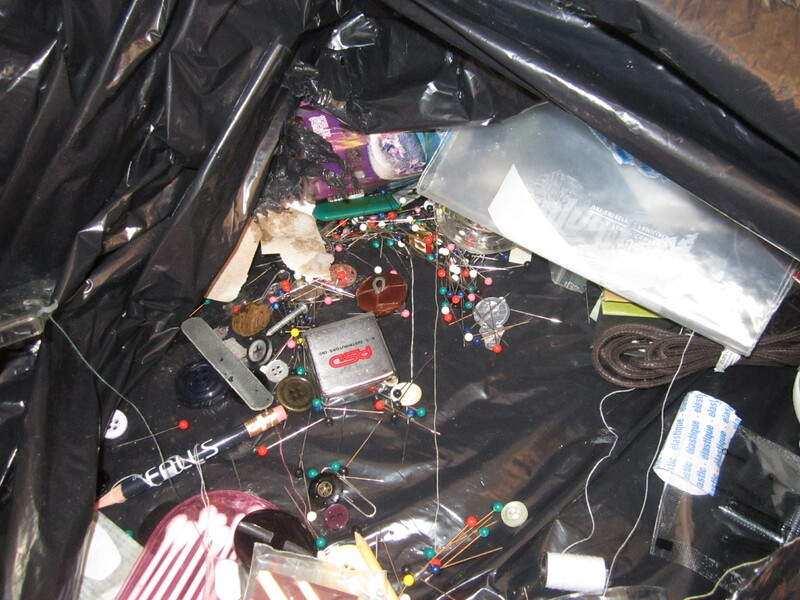 At the bottom of this bag were a bunch of sewing needles and other small items. 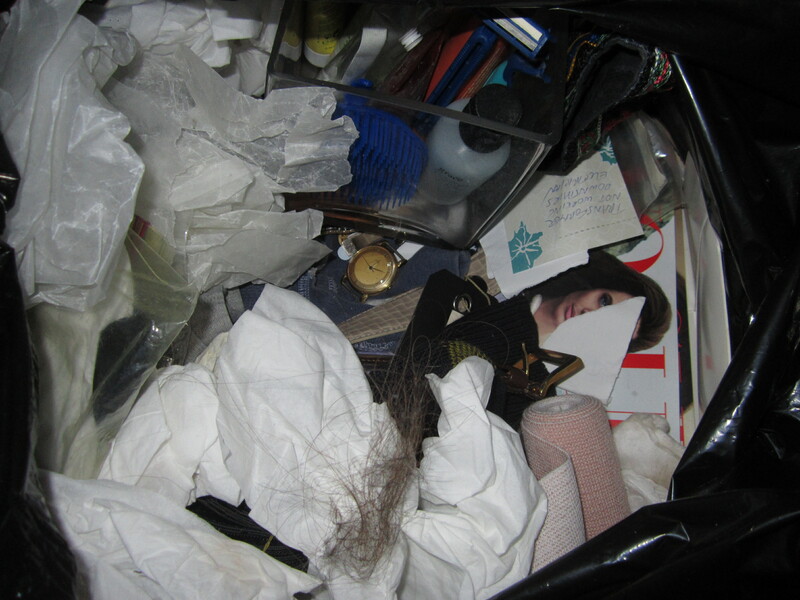 Knowing I needed to be thorough I removed most of the larger items so I could get a better view of what was underneath. I then sifted through the small items – at the bottom (and out of the picture) are the rejects and towards the top are the things yet to be sorted. Using this technique I found a couple of silver earrings that I might have otherwise missed. My most valuable finds came from this bag. In with the good stuff (which looked to have come from a “junk drawer” of sorts) were a bunch of used makeup applicators and a tuft of hair probably pulled from a brush. Some might find this to be gross but it doesn’t bother me too much. I’ll take this over kitty litter or old cigarette ashes any day of the week. At this point I feel only occasionally dumbfounded at what I see getting thrown away. 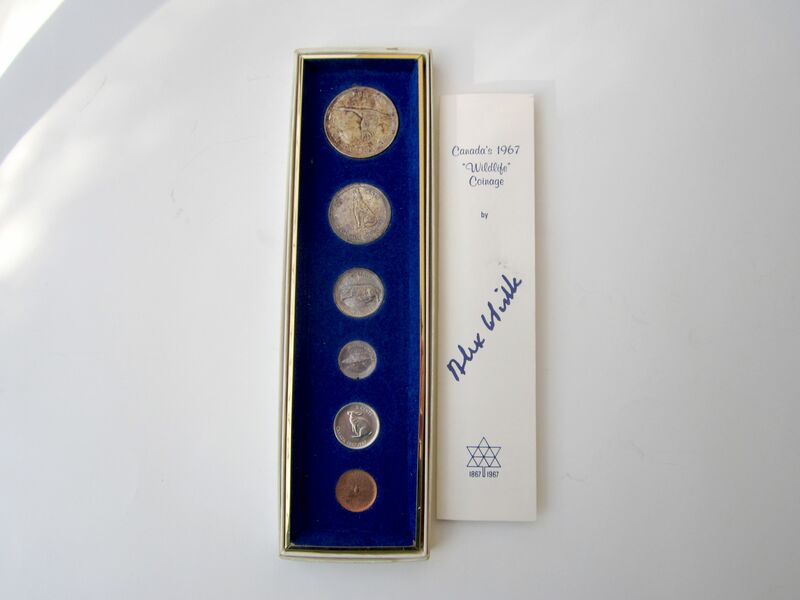 However, it was still hard to believe that someone would toss this 1967 Canadian centennial coin set. 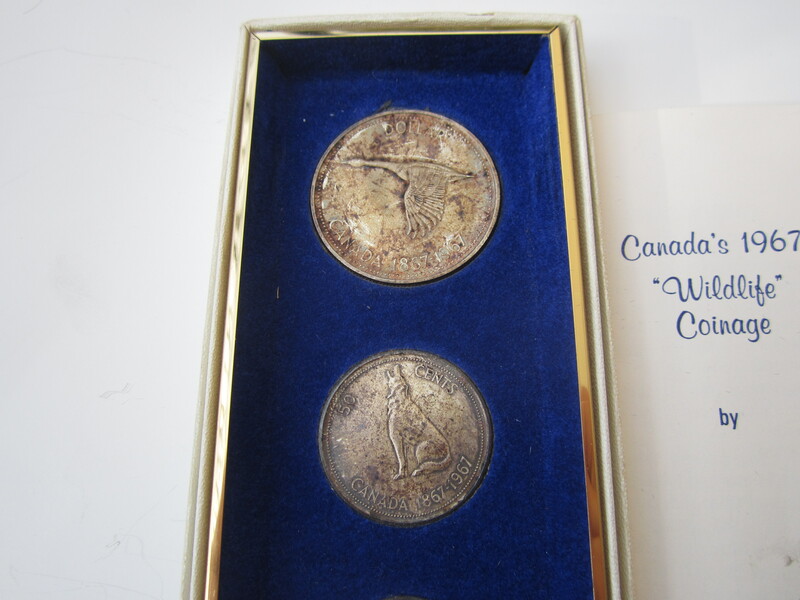 The coins were designed by Alex Coville, a noted Canadian painter. The top four (the dollar, 50 cent, 25 cent, and 10 cent) coins are all 80% silver. The set is only worth around 40$, but it still surprises me how people can so willingly throw out significant quantities of silver. Keep reading though, as the best is yet to come! 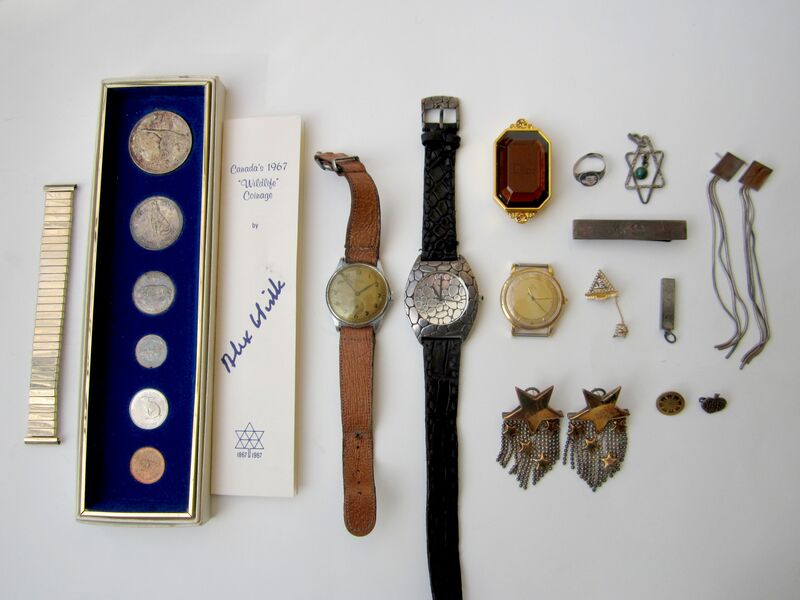 The watch on the left is an art deco era Henex. It doesn’t work, but because it’s cool and vintage it might fetch me around 5$. 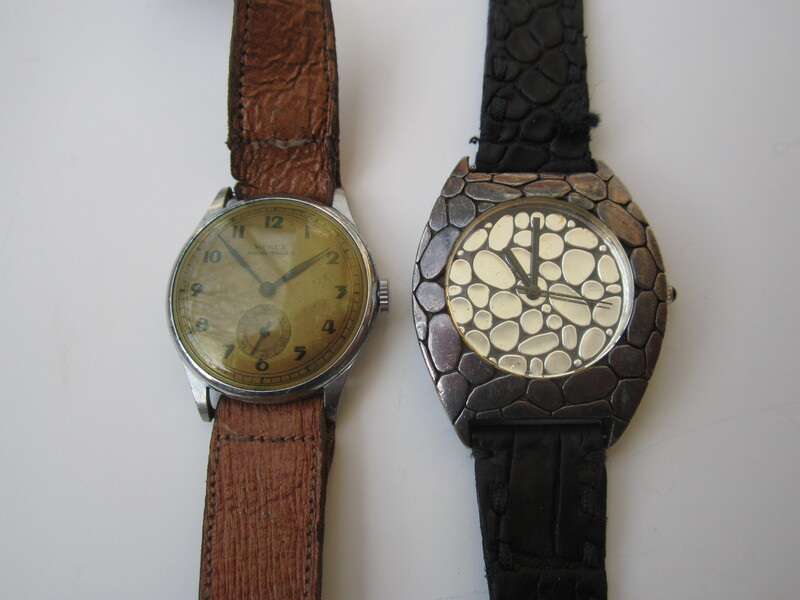 On the left is a John Hardy watch. I’ve never seen a sterling silver watch before but apparently that’s what it is. It also doesn’t work, but I expect I can get a good price for it on eBay regardless. 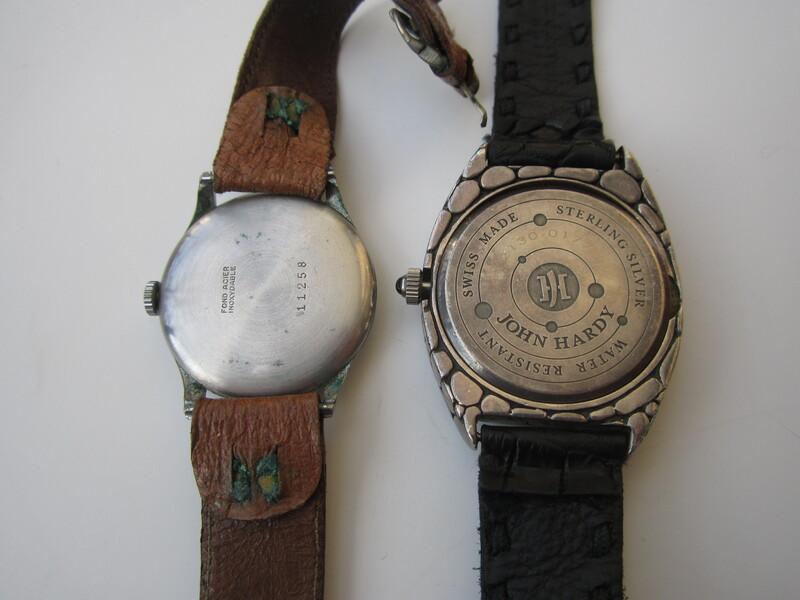 There’s a decent market for John Hardy watches – this one of the same model sold on eBay for 1700$. That watch is obviously in nicer condition but it shows that I should be able to get a decent price selling the watch “as is”. I could also look into getting it repaired. 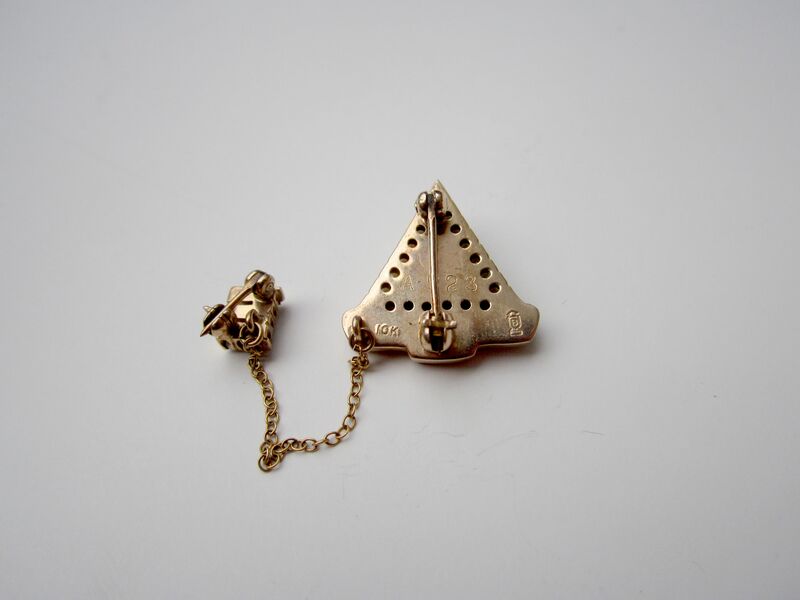 In the jewelry department we have two Hebrew pendants, a silver tie clip, and a couple of silver earrings. 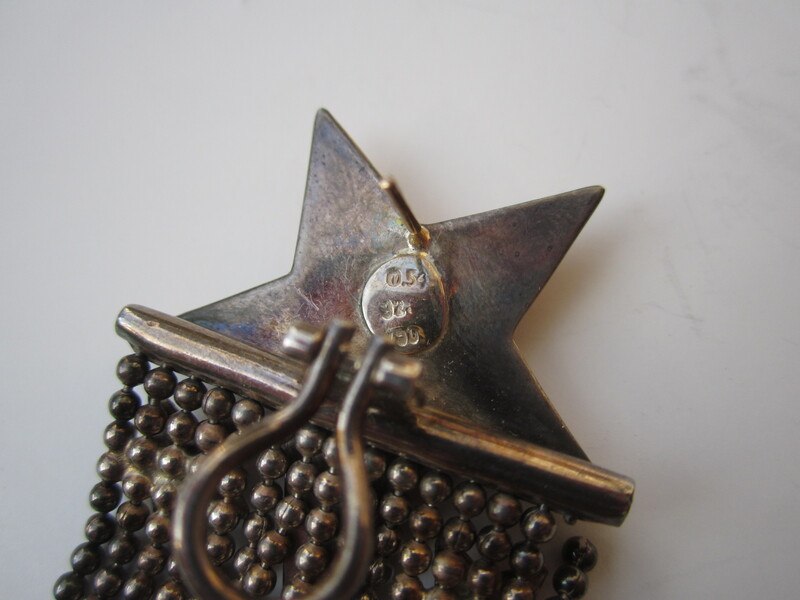 The star earrings have some unusual marks. If anyone has any idea what they mean let me know. I suspect the stars are vermeil (ie: gold plated silver), and maybe these marks indicate that. This old ring is pretty neat. It’s nicely enameled and looks to be Chinese in origin. 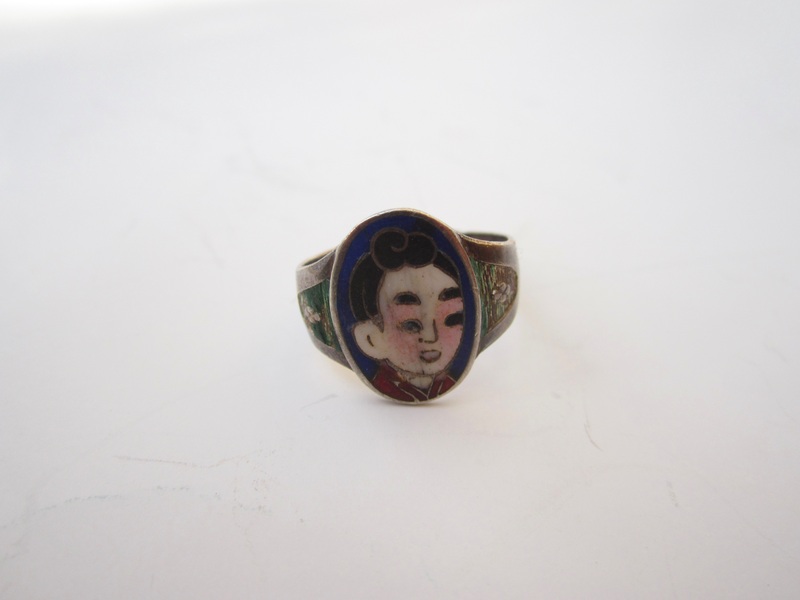 I found a similar ring (described as “very old ring, probably before 1911”) that sold at auction on eBay for 28$. Mine’s in much nicer condition though. I listed it at 90$ – we’ll see if anyone bites. The fact that it’s 10k gold makes it a fair bit more valuable. Despite some pretty uninspiring photography one just like it sold at auction for 115$. I set my price a bit higher because fixed price listings often do better than auctions, and I expect to ultimately get between 175-200$ for my pin. The watch is made by Omega, a luxury watchmaker based out of Switzerland. It’s an automatic movement, meaning that the watch winds itself as you move. It seems to work just fine, though there are a few cosmetic issues including the missing “9” on the dial and the non-original crown. 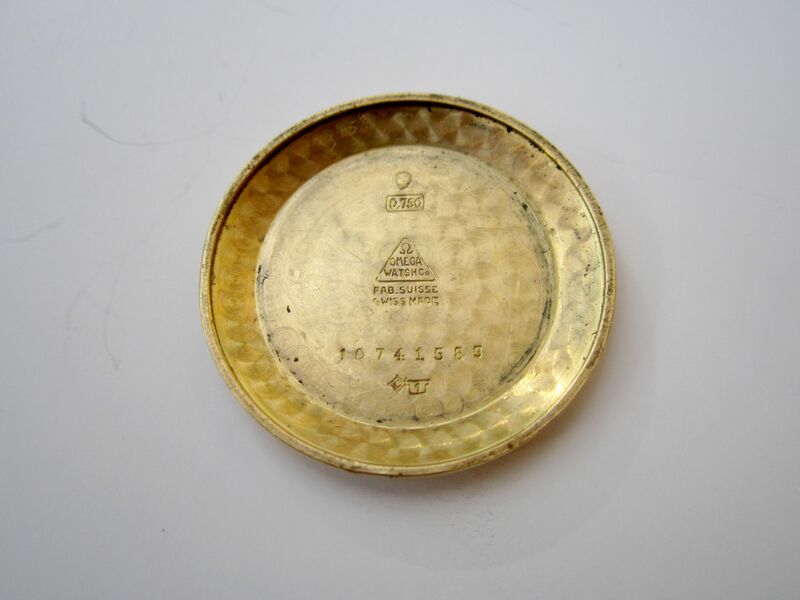 The inside is marked 0.750, which is another way of saying 18k gold. That makes it fairly valuable even just for scrap! This watch (assuming it’s legit, and I’m 99% sure it is) should make me a nice chunk of cash. 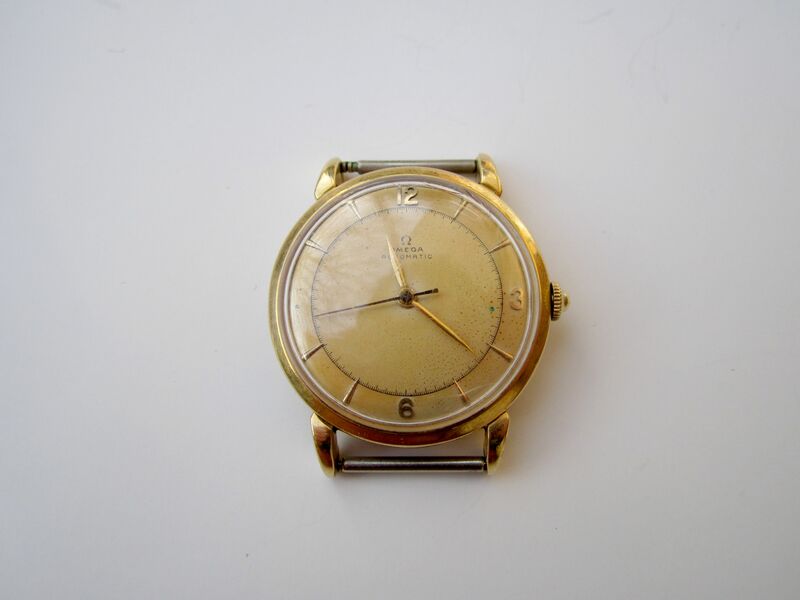 The most similar Omega I could find was this one, which is being sold for about 1200$ Canadian. That watch is in much nicer condition than mine. Still, I suspect that just by the virtue of having an 18k gold case and a working movement my watch should go for somewhere in the 300-500$ range. That’s a very nice payday for me, making this watch a likely addition to my eventual “best of 2016” post! Looking back, I’ve now saved four solid gold watches in my trash picking career. I found my first in the Plateau way back in 2012 (when this blog was in its infancy), and the 2nd and 3rd from the same spot in Hampstead last year. I expect this one will end up being the most valuable of the bunch. Hopefully there are many yet to come! hopefully someone can run it down for you, seems like a chance it may be valuable. Looks very nice to me. I suspect it’s worth in the range of 20-40$. Unfortunately for larger items like that the value is mostly eaten up by the cost of shipping it out. I’d guess that I’ll end up keeping it myself, at least for a while. Right now I’m using it to hold incense. 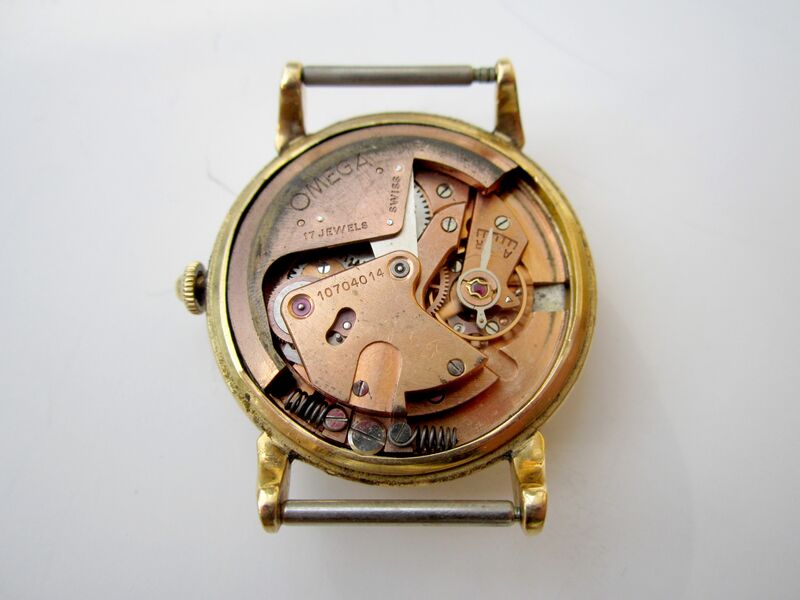 The serial number on the movement makes it a 1947. Ofcourse it’s real, no doubt at all. Great find ma man! Missing the 9 is too bad, also not having the original crown. Still a couple of hundred bucks, easy. 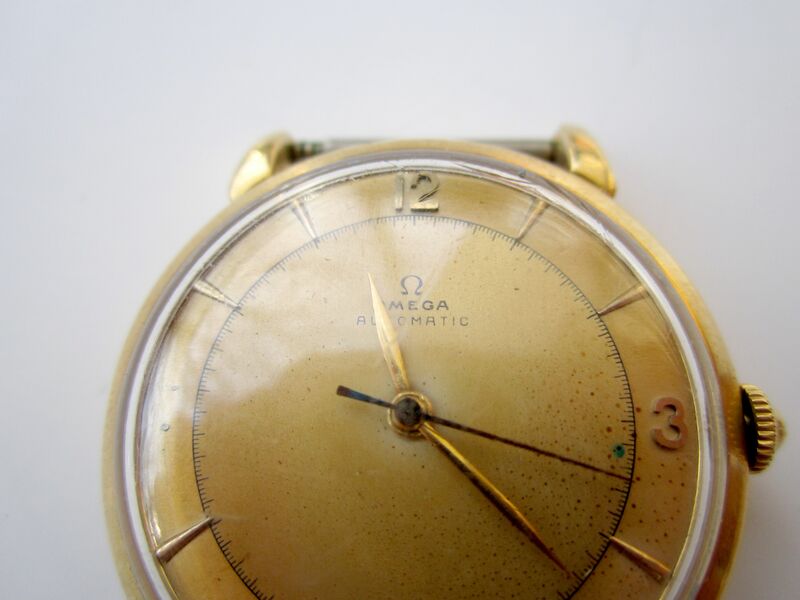 The patina on the dial is charming.. Patina on dials is “in”. Btw, the one on eBay has a sub dial which is always worth more. Good luck with sale and keep diggin’. Thanks for the info. Forgot about the subdial improving value. I think what I’ll do is start it at 500, and if it doesn’t sell I’ll lower the price until it does. I’d guess that 3-400 is attainable, still making it quite a nice get. I continue to LOVE that you carefully and respectfully rescue these fascinating — and sometimes valuable — pieces of human creativity/history from the garbage!!! Thank you for doing this work AND for writing so eloquently about it. Great finds! Your tie bar is Carl Poul Petersen a noted Canadian silversmith! Thanks, wouldn’t have known that if you hadn’t mentioned it! I was about to put it in my scrap pile. Its monogrammed, which usually reduces its value, but I might still be able to get a bit of cash for it. It’s very nicely made. Yes, monograms can reduce value. 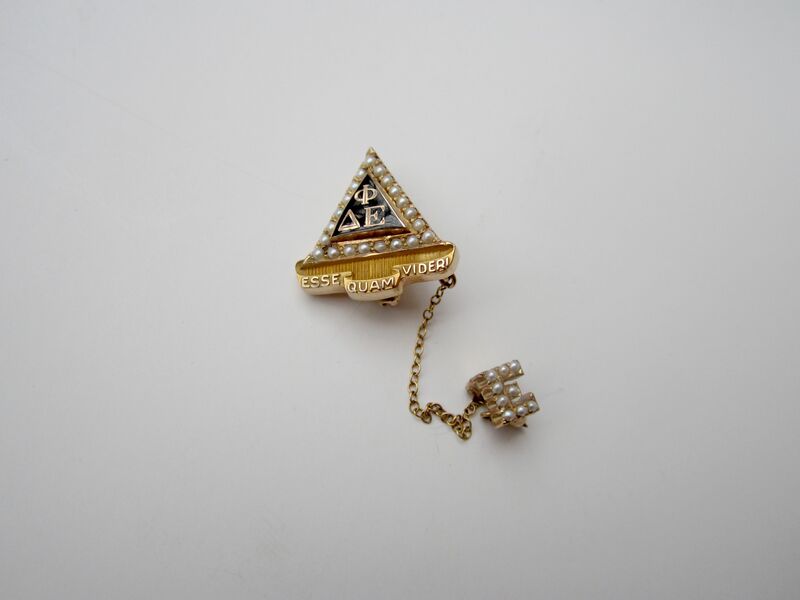 I could not make out the monogram on the pic. 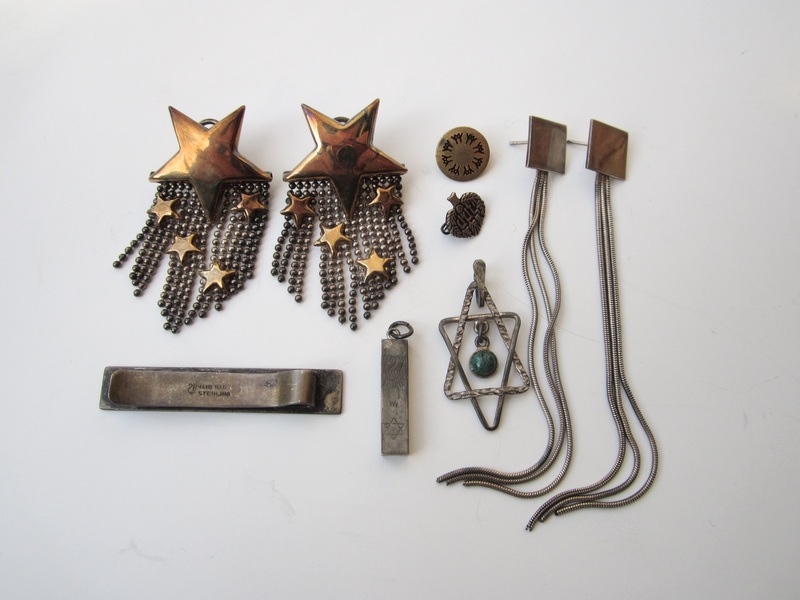 I think it is worthwhile listing on ebay as his jewellery is not that common. It’s monographed what looks to be “M.D.” Not bad as far as monographs go. Maybe a doctor would want it, given that’s the acronym they often use. Alas, I can’t find anything on your China bird, which I suspect is a crane. the round thing with the expo 67 stylized people,pin? earing? I wonder if the bird is a Phoenix and the dish was meant for smoking accessories or maybe had a glass ashtray insert originally. The watches are fabulous! martin- great finds! the watches are spectacular! the comments that your readers leave are really insightful and interesting as well. I think the bird may be an ibis because of the down-turned bill but, like you, have drawn a blank trying to find any kind of similar dish/tray/bowl. I think it might be worthwhile to have a “rock” person look at your silver ring on etsy $15+\-. I think the stone may be a watermelon tourmaline which is a nice stone and worth something more than your price. It’s a guess. I think the watermelon tourmaline is a bit different. It seems to be more of a crystal that light can pass through, while this is a more of a stone. Not sure what kind though. I a,m a 25 year-old grad student who follows your blog.I like oldv things with history and prefer them to new stuff often.I used to subscribe to LAPresse until the end of 2015.But when the paper went digital-only on weekdays,i stopped subscribing.I now subscribe daily to Le Devoir –it is delivered on my doorstep.I also subscribe to the weekend New York Times.A lot of LaPresse readers are steamed about LaPresse laying off 158 employees and forcing its digital edition upon readers.Many former readers of LaPRESSE simply started printed subscriptions with other papers.Do not believe the hype that the digital way is the only way of the future.A significant number of young people in their twenties still like reading print newspapers. I want that Henex watch! I sent you an email. 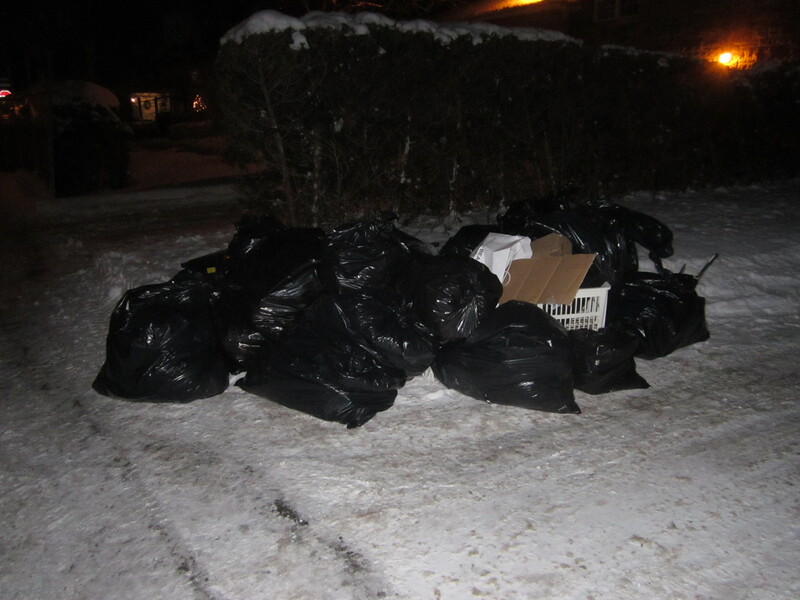 You should also look into the trash of the apartment buildings in the Town of Mount Royal.On Plymouth street on the western tip of TMR there are apartment buildings.Maybe the apartment buildings in the municipality are worth checking out more often? Unfortunately that trash is on a different night that the rest of the neighbourhood. Monday / Thursday mornings if I remember correctly. I’m sure there’s good stuff there but it’s not really worth going out of my way for. I do check it out sometimes though when I’m in the area anyways. No luck yet. I broke up with a girlfriend who was minimalist last month and believed in owning very few possessions.She pushed me to get rid of my vinyl record collection of 200 records and 100 comic books among other things,but I refused.I am starting 2016 by shunning minimalism.I love your blog and old stuff.I do not not want to buy too much,but I like to own things more than my ex-girlfriend.Zen does not work for me. Haha. Well minimalism isn’t all bad but I like to have some things in my life. Things give flavour to existence. The key is not to have too many things, and not be obsessed about collecting more things.